iOS is a great mobile operating system, but at times it can be extremely frustrating when the device was stuck on iTunes logo and USB cable forever. If you've ever come across that, there are only a couple of things that you can do to fix it. Apple support has a few ideas you can try out but it might not always work for you. There are also other methods that you can try. In this article, we show you what Apple suggests, as well as one other way in which you can quickly overcome this problem. Press the volume up button and quickly release it. Then do the same with the volume down button. Now, press and hold the side button until you see the Apple logo. 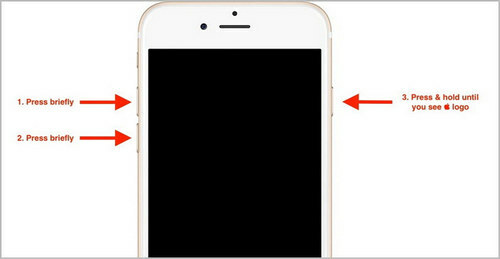 If you have an iPhone 7 or iPhone 7 plus then follow this step: Simultaneously press and hold the side and volume down buttons for 10 seconds. On earlier iPhone versions, iPad and iPod Touch, do this: Press and hold the and the top or side buttons for at least 10 seconds until you see the Apple logo. 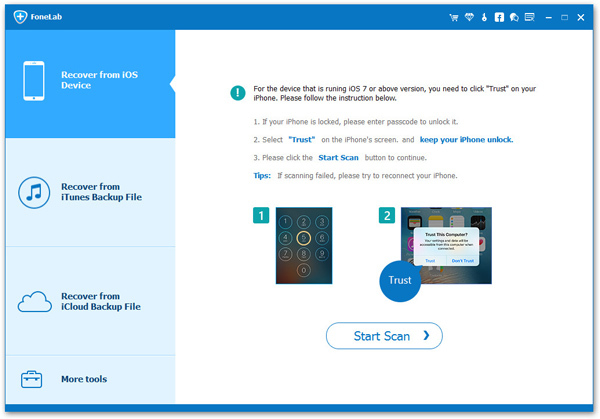 Apple says that if this method doesn't work on your device, you need to re-install the iOS version that you currently have. This is a fairly cumbersome process so we are not covering it in this article. A simple Google search will show you several ways to do this. If your device is jailbroken, then restoring your iOSwill undo the Jailbreak. This is the case no matter what method you use. Unless you have your shsh blobs saved, there is no way to restore your device to an IOS version currently not being signed by Apple. If restarting your iPhone doesn't work and you are not very keen on using iTunes to restore the iOS version, then you need something a little more powerful. Androidphonesoft iOS System Recovery is robust and intuitive software that will get your device back to normal in no time. 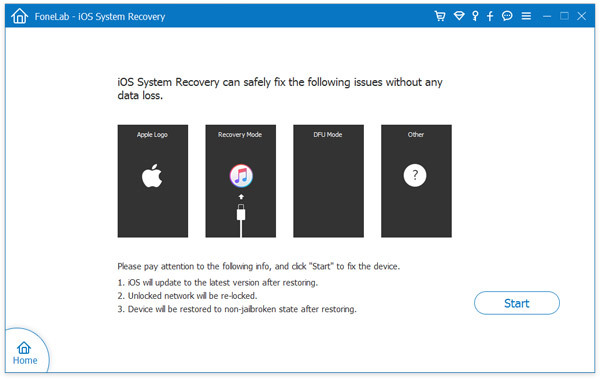 The software will not only take care of the connect to iTunes problem, but also covers a variety of issues, such as fixing iPhone from recovery mode, stuck on Apple logo, white screen death, etc., and bring it back to the normal state. 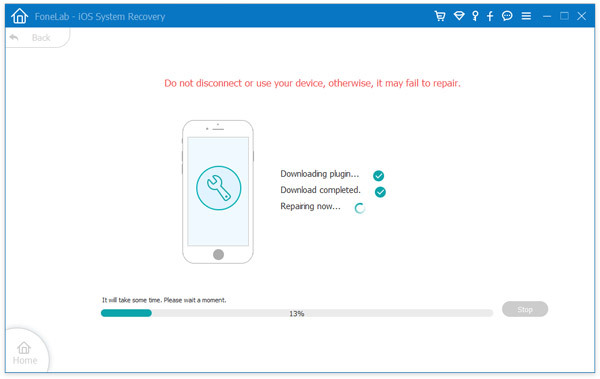 You should first download and install the Androidphone iOS system recovery software on your PC or Mac. Connect your device and launch the software. You should tap the "Trust" tab on iPhone before proceeding. 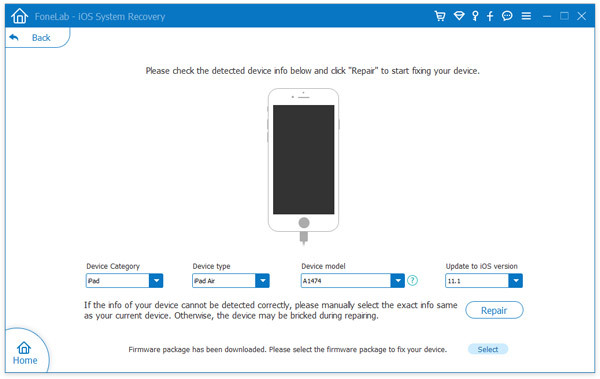 Now, select the option More Tools -> iOS system recovery. Once iPhone was detected by the program, please follow the on screen instructions to boot the device into DFU mode. After that, you will now see a list of options about the device. Please select the correct mode based on the device. At this point, you need to click on the "Repair " button to download iOS firmware. Wait for the firmware to be downloaded completed. Once it is finished, the program will load it automatically and you get the chance to repair the issue. During the repairing process, there is a progress bar indicating how it goes. Once it is done, you will get an normal iPhone. A word of caution is in order here. If you are using freeware awesome other open source utility, you should know that there are certain risks involved. For example, your data may be corrupted or lost, or your phone might even get bricked. The worst thing is that your warranty may be voided if you perform unauthorized actions on your iDevice. The best advice would be to opt for a premium software after reading user reviews and thoroughly checking it out.